Detraining on the Upfield line from a broken down train south of Park St. 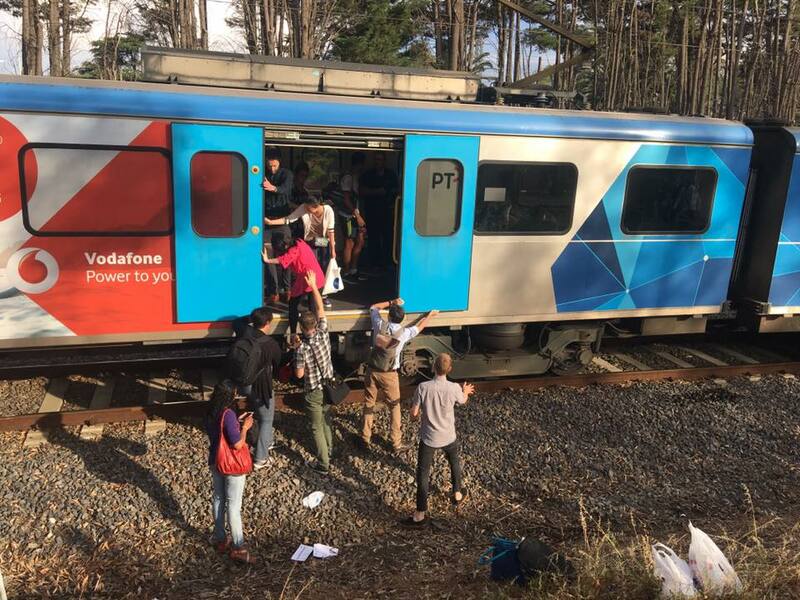 I got to experience a broken down train and the community response in helping each other off the Upfield train yesterday. Because of level crossing removal work at Camp Road trains are only running to COBURG on the Upfield Line. Yesterday I cycled to COBURG and used the Parkiteer cage for my bike and caught the train into the city for an event. Everything was well, and I caught the 5:02 train from Flinders Street. The problem with my train started occurring after Flemington Bridge station with the train motor seeming to sputter causing jumps. We made it past Royal Park before the engine pretty well died in fits and starts. “You can do it, you can do it” chanted someone in my carriage as the train inched forward in a few splutters of progress.